US software giant Microsoft is set to invest several dozen million US dollars into Research and Development projects at Russia’s Skolkovo hi-tech hub, according to officials at the innovation center. The agreement on the Microsoft Research center in Skolkovo was signed by Skolkovo Vice-President for Work with International Partners Conor Lenihan and Microsoft Business Solutions President Kirill Tatarinov. Microsoft said it is planning to cooperate more closely with Skolkovo in the next few years, focusing on Microsoft Dynamics program, offering business finance management and logistics solutions, employing more than 100 scientists and IT specialists by 2015. Microsoft and Skolkovo began cooperating in November 2010, when Microsoft head Steve Ballmer announced the establishment of a joint development center. Microsoft was one of the first large companies to announce plans to participate in the Skolkovo project. Cooperation between Microsoft and Skolkovo has so far resulted in the creation of Cloud Numerics, a software product released in Russia in the spring of 2012. It offers users access to an extensive NET library of numerical algorithms ranging from basic mathematics to advanced statistics to linear algebra. 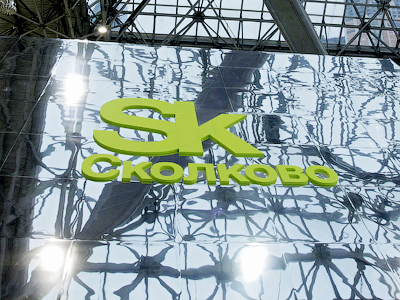 Skolkovo resident companies have gained access to the library on lenient terms. 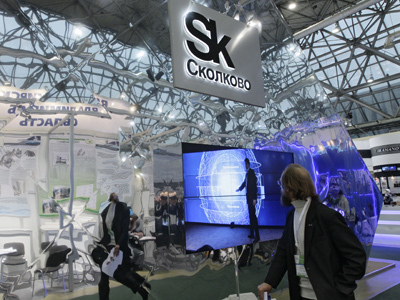 With the Russian government trying to move the focus away from the commodity sector, Skolkovo is intended to be a modern science community for the development and commercialization of new technology. The hub, located just outside Moscow, will focus on research in five priority spheres: energy, information technology, communications, bio-medical research and nuclear technology.